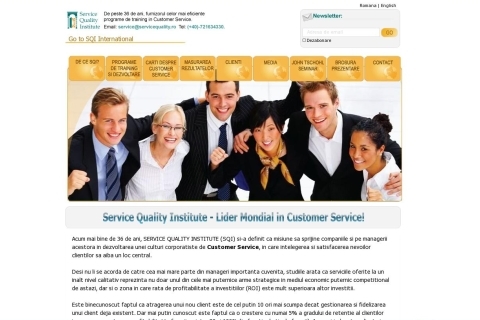 The Romanian representative of Service Quality Institute, the world leader in Customer Service. Objective: A website that represents SQI Romania, while maintaining as much of the identity of SQI International as possible. Solution: A website with a design closely resembling that of the SQI International site, a well defined structure, which provides visitors with easy access to needed information.